New York State poses numerous challenges for even the most experienced family history researcher. The New York State Family History Conference is hoped to help break down research barriers and provide a forum that brings people together to share their research knowledge and problem-solving experiences and to collaborate on key research issues. Future conferences are expected to be scheduled at regular intervals. Conference speakers include: Blaine Bettinger, The Journal of Genetic Genealogy– Ruth Carr, New York Public Library (retired)- Sachiko Clayton, New York Public Library- Laura Murphy DeGrazia, CG, NYG&amp-B Record- Stefani Evans, CG, National Genealogical Society- James D. Folts, New York State Archives- Karen Mauer Green, CG, NYG&amp-B Record- Eric Grundset, Library of the Daughters of the American Revolution- Terry Koch-Bostic, National Genealogical Society- Michael Leclerc, Mocavo- Joseph Lieby, Palatines to America German Genealogical Society- Maira Liriano, New York Public Library- Kathleen Roe, New York State Archives- Paula Stuart-Warren, CG- and D. Joshua Taylor, findmypast.com. The two-day conference will be held on September 20 and 21 at the Holiday Inn &amp- Conference Center Liverpool, just outside Syracuse, New York. Pre-conference research activities will be available on September 19. Attendees will have an opportunity to advance their skills in researching New York families and to build general skills through 20 lectures in two parallel tracks- two luncheons and a dinner, all with riveting speakers- and exhibits by vendors and societies. The Conference Program and exhibitor information may be found on the Conference website, www.NYSFHC.org. The early-bird registration fee for the two-day Conference (excluding meals and printed syllabus) is $115 until July 1, after which it will be $140- members of the CNYGS or the NYG&amp-B receive a $25 discount. Purchase tickets in the online store at www.newyorkfamilyhistory.org. 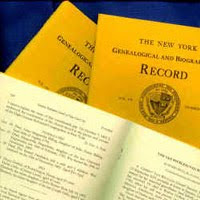 The Central New York Genealogical Society was formed in 1961 for the purpose of preserving, publishing and sharing genealogical information and resources. Towards that end, it has published Tree Talks, a highly respected quarterly which contains abstracts of significant records from upstate New York counties and is fully indexed, annually. The CNYGS holds six meetings yearly, and members engage in record preservation projects to preserve and report information for the future. Its official website is located at www.rootsweb.ancestry.com/~nycnygs. 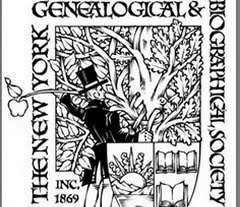 The New York Genealogical and Biographical Society was founded in 1869 and is the largest and only statewide genealogical society in New York State. The NYG&amp-B publishes two quarterlies, The Record and The New York Researcher– offers a robust schedule of educational programs- partners with organizations across the state through the New York Family History School- and maintains a website, www.newyorkfamilyhistory.org, with a growing elibrary of unique research resources, including the full run (since 1870) of The Record, which preserves the histories of New York families. The NYG&amp-B will soon publish the New York Family History Research Guide and Gazetteer, the first guide to genealogy resources across the entire state and the first statewide gazetteer since 1872.